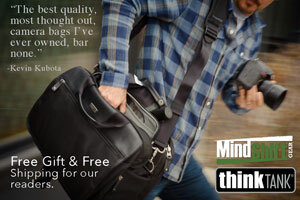 Free cases from ThinkTank with backback purchase in Feb. These bags hold just the right amount of gear! Awesome Sauce Holiday Sale extended...save 75% off actions & tutorials now! *For every 100 credits you buy during the sale, you get 75 free bonus credits. You can use the credits you buy toward the purchase of the Artist Series Bonus Bundles. Save 75% on Artist Bonus Bundles now, and get 75 credits or more to use later. A coupon for bonus credits will be sent via email on December 9, 2014. Full day Lightroom & Photoshop class tomorrow. Free. Tune in for FREE and learn from the comfort of your own home. You can follow along with me and ask questions via Twitter.